Coriander (you might know it as cilantro, depending on where you’re from) is one of those ingredients that is either loved or loathed by people - there’s never much middle ground. Some adore it, others say it tastes like dish soap - which is actually a legitimate complaint, and as a result of a genetic mutation! I’m firmly in the “coriander is awesome” camp, and think it makes a welcome addition to salads, burritos, and sauces alike. What I’m not too enthusiastic about, though, are some of Japan’s ways of serving it up. For instance, coriander and chocolate? That was a strong no from me. 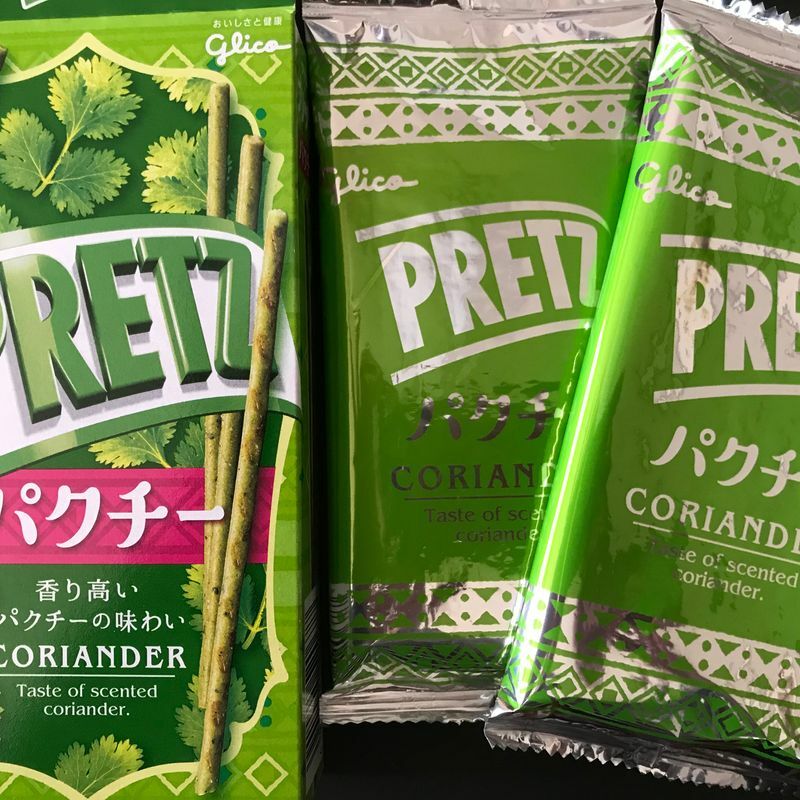 When I saw coriander Pretz on my local Lawson store shelves last week, I was skeptical - was this going to be as unappealing as the chocolate was? Naturally, I had to get some to try, and I was pleasantly surprised! Each box comes with two individually wrapped sleeves inside, which is perfect if you plan on splitting them with a friend or just don’t want to consume them all in the one go. As soon as you open the packet, the smell of coriander hits you right in the face - it’s strong. Not unpleasantly so if you like coriander, but if this was a blind taste testing experiment there was no way I’d be unable to guess what it was! The color of the sticks is also very green in appearance too - somewhat of a muted green, but definitely green nonetheless. It all comes down to the almighty taste though -and I have to say I really liked these! 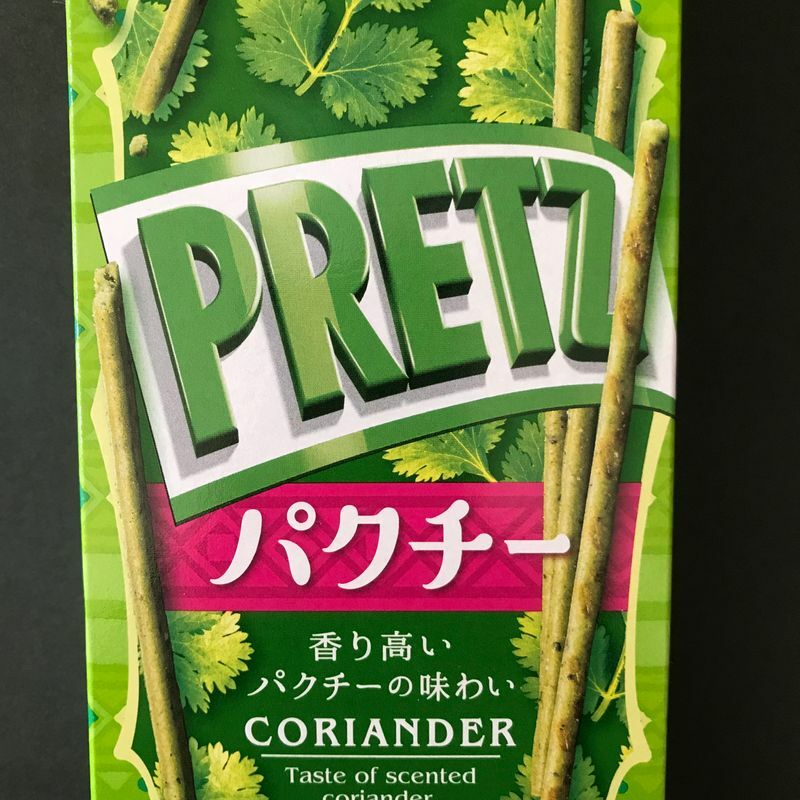 My first couple of bites took me aback, because it really is a prominent coriander flavor - but it was one of those tastes that had you wanting more. I’d be content buying them again, too. 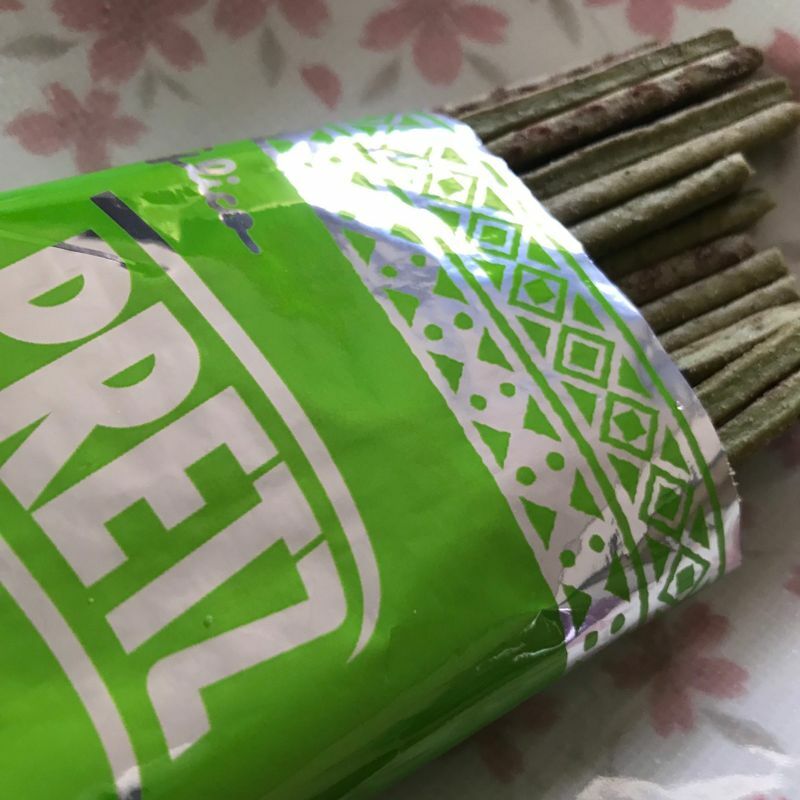 Have you tried many different Pretz flavors? 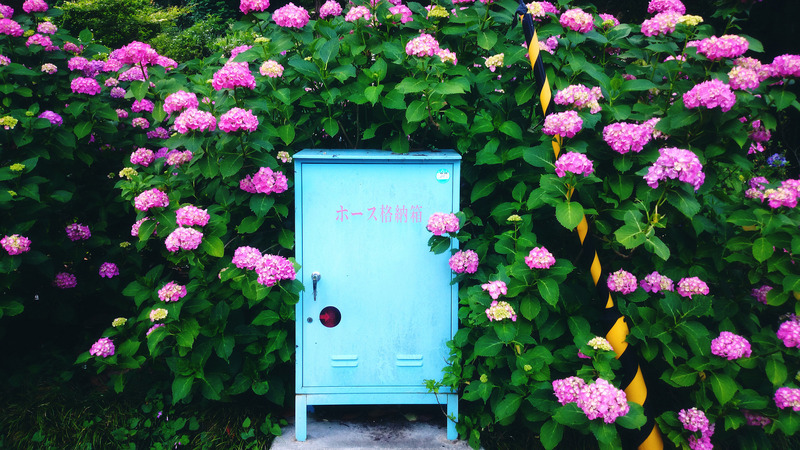 Do you have a favorite variety?